Apple starts selling refurbished 2016 MacBook Pro -- better hurry if you want one! One of the best ways to save money on an Apple product is to buy refurbished. Not only do you enjoy a significant discount but the device also passes a rigorous inspection and comes with a factory warranty as well. 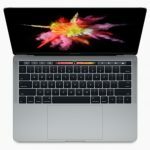 The 2016 MacBook Pro, which was introduced in October 2016, is the latest device Apple added to its Certified Refurbished program, being introduced in multiple configurations to its online store. Here's what you should know about it. Mobile devices might be the hottest thing nowadays, but PCs are still important for many people, and Intel knows it. The company has announced new series of processors aimed at desktop computers and performance laptops. The S series is designed for desktops. The H series is meant for high-end laptops and mobile workstations. The Y-series is for ultra-thin machines, and the U-series for ultraportables. As one might expect from new processors, these chips are expected to be faster, and consume less energy. Apple is obsessed with making its products smaller and lighter -- and this shows with the latest-generation MacBook Pro. Both the 13-inch and 15-inch models are more portable than their predecessors, making the prosumer line a much better choice for road warriors. But, knowing that Apple does not always give without taking away, what is the catch? Well, in the quest to improve the new MacBook Pro line, Apple has made them harder to repair and upgrade. The company is not renowned for making laptops that are easy to service, but with the 2016 MacBook Pro line it is taking things to the next level. Worldwide shipments for devices including PCs, tablets, smartphones and mobile phones, are expected to decline three percent this year, according to a new report by market analysts Gartner. The company says this will be the second consecutive year of decline, as the global devices market fell by 0.75 percent in 2015. "The global devices market is not on pace to return to single-digit growth soon", says Ranjit Atwal, research director at Gartner. 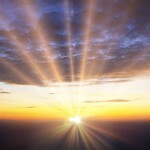 "Growth is on pace to remain flat during the next five years. All segments are expected to decline in 2016, except for premium ultramobiles and utility mobile phones (entry level phones), which are expected to show single-digit growth this year", says Gartner. It may be among the best looking, smallest and lightest ultrabooks available today, but the MacBook hasn't quite taken consumers by storm. 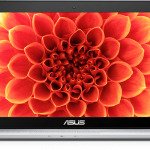 Fortunately, this means that there is room for competitors to make a splash, which is what ASUS is hoping to achieve with its new ZenBook 3. The MacBook lacks the guts required for more demanding applications, but that looks to not be an issue for the ZenBook 3. 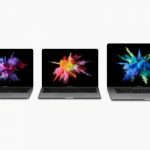 The device will be available in a configuration featuring an Intel Core i7 processor, which should deliver a healthy performance boost over the Core m3 and Core m5 processors that the MacBook can be equipped with. PC vendors are definitely in a pickle, as the market size everywhere continues to shrink, but there are areas of the industry that are still profitable, market analysts Gartner have said. PC sales have recorded one of its lowest quarterly growth rates in Q1 2016, but ultramobiles are growing, and that’s where the focus should probably be. Ultramobiles (tablets, thin and lightweight PCs, convertibles) are expected to grow 16 percent, to $34.6 billion, compared to 2015. Apple has announced the first MacBook refresh, a year after the introduction of its thinnest and lightest laptop. The device gets the latest Intel processors, better graphics performance, faster SSD storage and longer battery life. Also new is a rose gold finish, on top of the existing gold, silver and space gray. 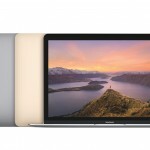 The 2016 refresh for the 12-inch MacBook brings sixth-generation dual-core Intel Core M processors with speeds of up to 1.3 GHz and Turbo Boost of up to 3.1 GHz, 1866 MHz RAM and HD Graphics 515, which is said to be 25 percent faster than in the original model. Combined shipments of PCs, tablets and phones reached 2.39 billion units in 2015, according to a new report from Gartner, with an increase to 2.54 billion units expected for 2018. As you might expect, phone shipments account for the vast majority of units, 1.91 billion of them to be exact. The report says that PC vendors shipped a combined 246 million desktops and non-premium laptops in 2015. Things aren't looking good in the long term, as shipments are expected to drop to 219 million units in 2018 for these two categories. However, the PC market as a whole, which includes desktops, non-premium laptops as well as premium ultramobiles will see a rise in shipments until the end of 2018 to 312 million units from 290 million units in 2015. 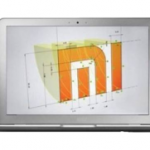 Xiaomi is entering the laptop market with a device that looks to carry on the company tradition of delivering high specs at low cost. The model has not yet been named, but is available for pre-order via Chinese retailer Banggood for £490.50. If you are the sort of person who can't see the forest for the trees then Microsoft's new Surface Book is not for you. This much is clear after reading Brian Fagioli's article on why you shouldn't get the device. My colleague pays so much attention to certain details that he fails to see how Surface Book can be a great option for plenty of shoppers in the premium segment -- because those are the folks Microsoft is targeting, not the average Joe who takes issue with the $1,499 starting price. Yes, Surface Book is a costly affair. But, it is also a unique proposition in today's market, which offers plenty of value for the money, something that cannot be said about most of its apparent rivals. So, without further ado, if you can afford Surface Book, here are five great reasons why you should get it. Hybrid devices have started to gain traction in 2015, with IDC estimating that shipments will grow by 86.5 percent year-over-year to reach 14.7 million units. 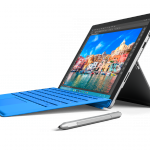 That is in no small part due to increased competition in this space, and it will only heat up thanks to Microsoft's new Surface Pro 4, which goes on sale in late-October. Vendors in the high-end segment will have to step up their game. 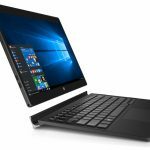 With the new XPS 12, Dell has come up with a hybrid device which may successfully compete with devices like Surface Pro 4. With a price-tag that starts at $999, however, it better be good. 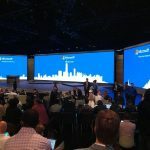 Microsoft's Windows 10 hardware event has been an impressive tour de force, as we have seen the company reveal a significant number of exciting new products. The focus has been on Surface and Lumia devices, but we have also seen Band and HoloLens pushed into the spotlight. And we cannot forget about the news surrounding Windows 10. Since it can be hard to keep track of everything that Microsoft has talked about, we have crammed everything you need to know about its Windows 10 hardware event into a single article. If you want a high-end 15-inch Windows laptop that is light and visually attractive you will most certainly not be spoilt for choice. PC makers are focusing on the smaller segments, which usually means a display size of around 13-inches. Sure, you can always grab a 15-inch MacBook Pro with Retina display and slap Windows on it, but that is not the same thing. 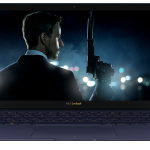 Fortunately, ASUS continues to include a 15-inch high-end option in its ZenBook lineup, as it just introduced ZenBook Pro UX501. It packs all the right features a buyer in this segment is looking for: ultra-high resolution screen, fast processor, lots of RAM, insanely fast SSD, dedicated graphics and a big battery, all in a package that is not much bigger and heavier than Apple's offering. What is not to like? 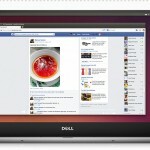 So, you want to run Linux on a cutting-edge ultrabook. Chances are you want to get a laptop with Windows on it, format the entire drive, and then install your favorite distribution. But be ready to also waste lots of time trying to get everything working as it should. Even today, you have to be prepared for debugging, installing drivers, making configurations and other things before you pull the plug. Or, if you want a great Linux-based ultrabook that just works out-of-the-box you should first take a look at Dell's new XPS 13 Developer Edition. It comes with Ubuntu 14.04 LTS (Long-Term Support), and dedicated support from a team of Linux enthusiasts, so if anything goes awry you'll get someone who knows their stuff at the other end of the line. And it's available now. 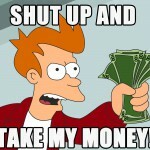 Lenovo seems to be hedging its bets in the exciting new world of tablet-Ultrabook hybrids. The company offers models where the screen is removable, like the ThinkPad Helix, and also where it rotates, like the ThinkPad Yoga. The Yoga 2 Pro is the latest non-corporate version of the latter. 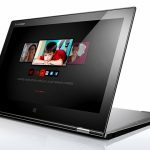 The basic concept is the same as the ThinkPad Yoga, but it moves the genre forward considerably in one key area. The primary step forward is the screen, which has a whopping resolution of 3,200 x 1,800. This is even greater than the considerable 2,560 x 1,440 offered by Dell's XPS 11 2-in-1 Ultrabook, although the Yoga 2 Pro has a larger 13.3-inch display, like Toshiba's KIRA 101. It's an IPS screen, too, so doesn't suffer from the viewing angle issues of the cheaper TN variety, with the display clear from every position. Detail is superb, although colour is a little more muted than we would have expected.